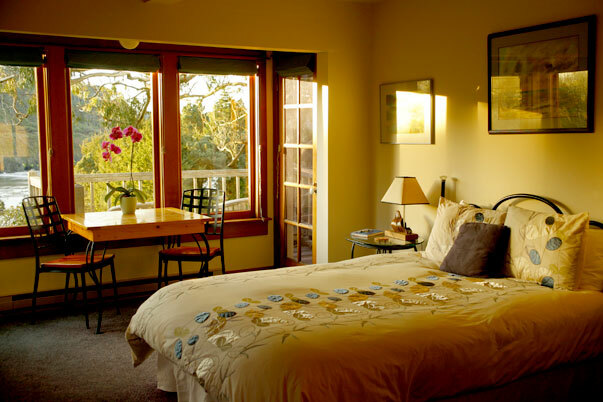 A popular ocean front inn with cottages, Alegria is located in the beautiful town of Mendocino, California. 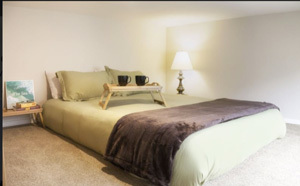 The Alegria Inn has not 1, not 2, but 3 FloBeds for guests to enjoy! 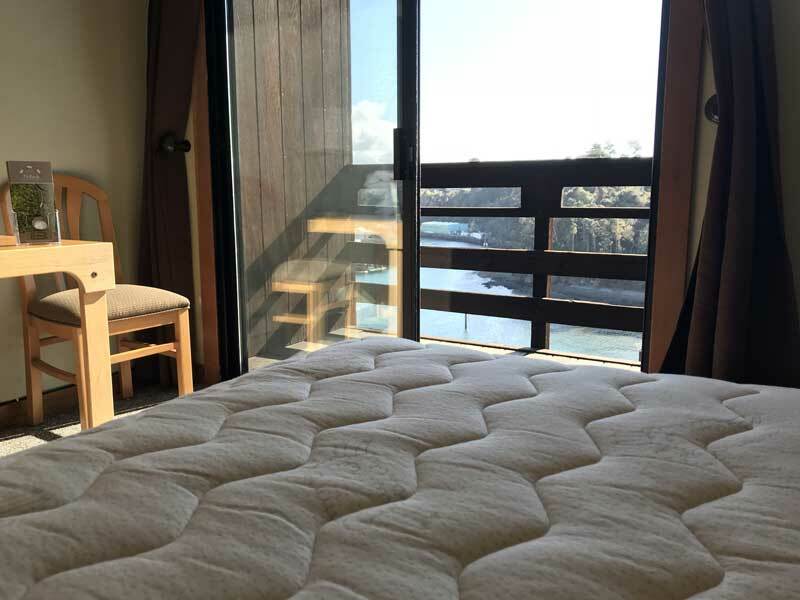 Our mattresses can be found in the Pacific Suite, Cove Cottage, and the Tree House rooms. So what are you waiting for? 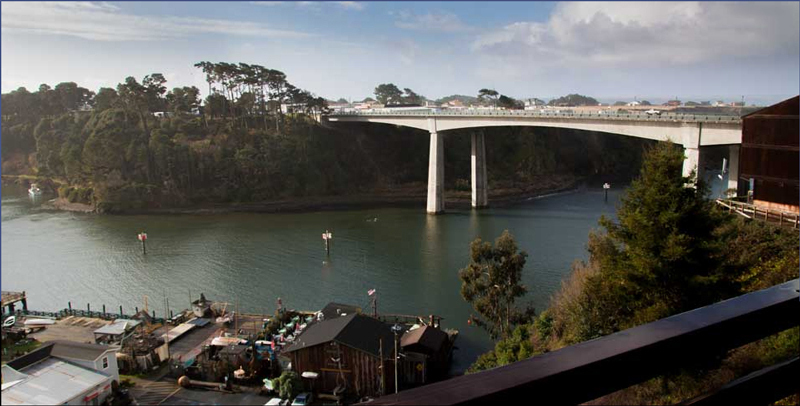 Come up to the Mendocino coast and stay at the Alegria Inn for a relaxing vacation on a FloBed. 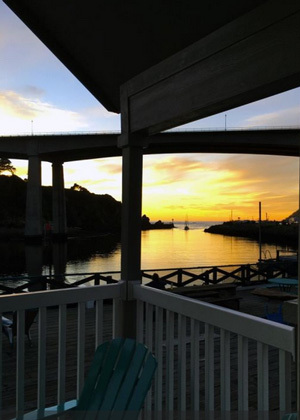 Sitting atop Noyo Harbor, the Harbor Lite Lodge boasts location and views. Choose from 14 rooms with FloBeds! 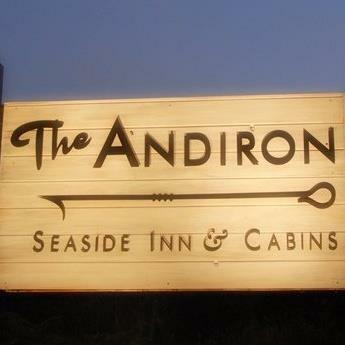 Here on the Mendocino Coast, the Harbor Lite offers you the comforts of home. From fresh pancake, biscuits and gravy breakfast to /FloBeds and private balconies, you will enjoy your rest. We are 11 one and two room cabins perfectly situated on five acres of meadow and woods on Highway 1 in Little River. 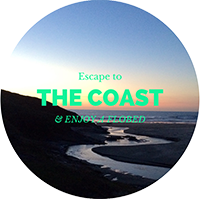 Minutes away fromeverything– beaches, wineries, diving, hikes, Mendocino, breweries, good food – but quiet, relaxing, and fun, our housekeeping cabins and rooms are each entirely unique and reflect our love of everything vintage, salvaged, rehabbed, and recycled. Add super-comfy beds, a sweet hot tub, and weekend happy hours, and you’ve got a mighty fine getaway. Plus, we think your pets are swell, so bring ’em along. Cabin 11 Curious (photo credits Andrion Inn website)CURIOUS features all sorts of ways to indulge your curiosity about the world around us. We’ve put a couple old telescopes and guides to the night sky, fantastic-old-but-working binoculars, field guides to local flora and fauna, science kits, and Audubon prints and a bird whistle. We’ve filled our forties-era maple cabinet with smarty-pants games and an eclectic mix of books and activities. Finally, there’s also a sweet mural of the moon and stars. Magical! CURIOUS has a king FloBed, kitchenette, fireplace, bathroom, deck. CURIOUS adjoins CURIOUS-ER. 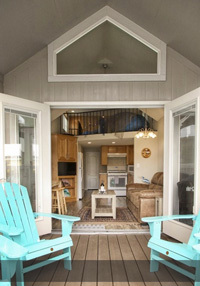 The two cabins can be rented together or separately. Choose from 3 units in the Noyo River Harbor. 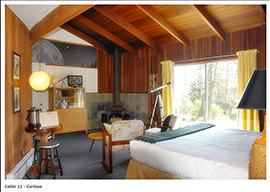 The formula is simple- you take a beautiful vacation on the Mendocino Coast, plus a FloBed, and get ultimate relaxation! Below is a list of Inns and Bed and Breakfasts that have FloBeds.So buy a plane ticket or jump in your car, because you are not going to want to miss out. By choosing to stay on a FloBed at one of these locations you will get to experience our luxurious mattress made out of high quality and non-toxic materials. Our all natural or original talalay latex mattresses are wrapped in organic cotton. You spend all day in a harsh world. Retreat to a natural bed covered with organic cotton for a true safe haven.